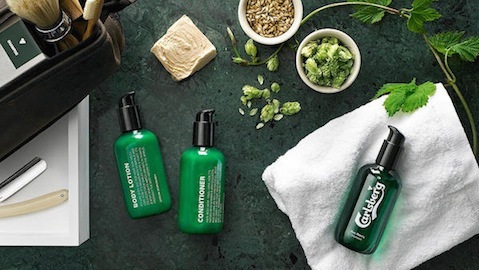 In time for Father’s Day, the Danish beer company’s R&D centre, Carlsberg Laboratories, has teamed up with the local beauty brand Urtegaarden to create a men care line made of real beer. Each product—a shampoo, a hair conditioner and a body lotion—consists of 0.5 l of real Carlsberg beer that was frozen, powdered and added into basic products. This limited edition can be purchased as a set online. The main components of a good beer —yeast, hope and barley — are rich in vitamin B and proteins which makes them quite common ingredients in natural skin care. Watch the video about the creation of the Carlsberg Beer Beauty line. Posted in Marketing and tagged Carlsberg, new product launch, personal care &beauty. Bookmark the permalink.